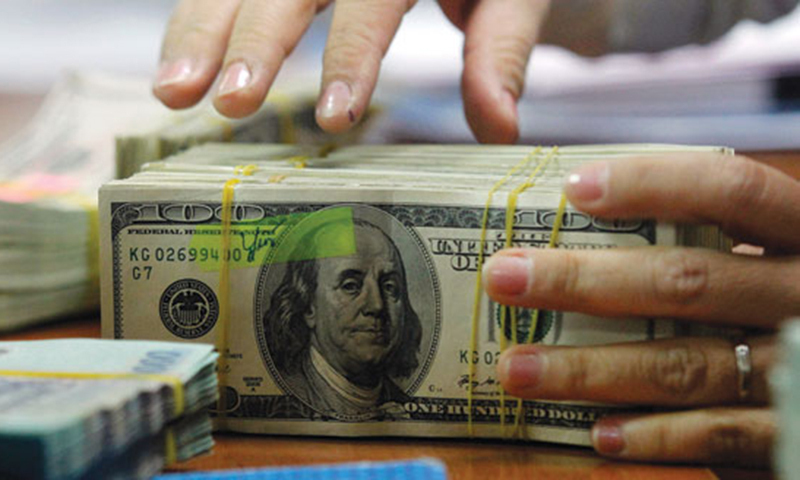 The State Bank of Pakistan (SBP) on Monday announced that it had received 15 billion Renminbi (RMB) — also known as yuan — equivalent to $2.2 billion, as proceeds for a loan extended to Pakistan by the Chinese government. 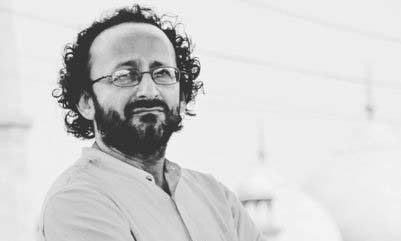 Finance ministry adviser and spokesperson Dr Khaqan Hassan Najeeb confirmed the development to DawnNewsTV. Last week, the Ministry of Finance had announced that the SBP would receive a 15 billion yuan loan, equivalent to $2.1bn, from China by Monday (today). Dr Najeeb had said that "all procedural formalities" for the transfer of the loan being provided to Pakistan by the Chinese government have been completed, and "the funds will be deposited in the SBP account by Monday, March 25". The loan facility, the spokesperson had said, "will further strengthen foreign exchange reserves and ensure balance of payment stability." 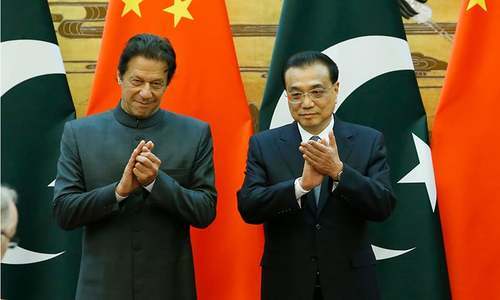 Following a meeting in Beijing between Chinese Premier Li Keqiang and Prime Minister Imran Khan in November 2018, China had said that it was willing to offer assistance to Pakistan to help it weather its current fiscal woes, but that the terms of such aid were still being discussed. 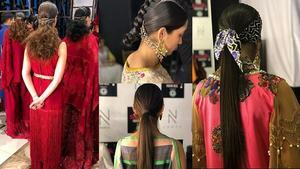 Shortly after, Chinese Consul General Long Dingbin had said during an interview that in order to "boost Pakistan's economy", Beijing is investing in multiple sectors and launching business ventures instead of providing loans. 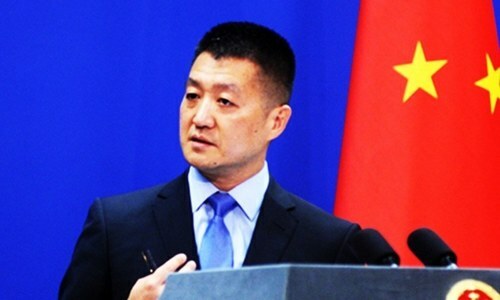 "The Chinese side has offered and will continue to offer its best through assistance, trade, investment and all-around practical cooperation to support and boost Pakistan’s economic and social development," Kang had said. At the time, it was the first official confirmation by a Chinese official that Beijing had planned to extend a financial package to Islamabad. The terms of the package, however, had remained elusive until last week. Additionally, Dr Najeeb today said that after receiving the Chinese loan, the foreign exchange reserves held by the SBP had hit the double-digit mark of $10.67bn. 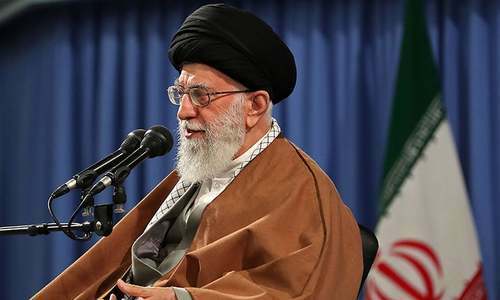 In a tweet, he added that the net foreign exchange reserves held by commercial banks stood at $6.91bn. He said the "implementation of a successful strategy" had resulted in the total foreign exchange reserves of the country rising to $17.58bn. This is a huge achievement by PMIK. Only Chinese are try friends and this will likely be converted to a grant. I love China and PMIK. Yeah! More loans. New records being made in securing loans! What is the rate of interest as compared to Saudi, UAE and possible IMF loan? Inlieu China will purchase rice and cotton well below the market price from Pakistan. I believe all the terms and conditions dictated by Pakistan. Loa loan loan. Loan is not good for economy. Loan is to be paid by any means therefore no need for appeasement. Not a gift..make sure it's loan. Stand up on your own without support of loan. No more loan. A friend in need a friend indeed. Thank you, China. when will Pakistan give loan to other countries? We must be the only country in the world that is actually happy to receive more loans. We deserve to know the interest rate too. Whats borrowed needs to be returned so this means that Debt is rising. Not a good sign !! @srinivas, it already did in 1960s to Germany. @Shahid Kaleem, China is buying Pakistan in installment. Taking Loan is no achievement ! Pak is going to loose 1 billion dollars next month for euro bond repayment.so reserves will delplete further. We are borrowing as if there is no tomorrow. These loans need to be returned as well. In Total Pakistan have received 9 Billion USD loan in 2019 . No one know where 9 Billion is gone . Well done PTI Naya Pakistan . @Chinpaksaddique, Really great achievement to get 2.2 billion LOAN. China, the great China, is the new sterling, is the new world order. Pakistn is proud to be part of history in making. Long live Pak China Friendship. never thought getting a loan could be showcased as an achievement...is Pakistan's credit rating so bad ? anyways..once the IMF loan is finalized China will get its money back with interest....whats the interest rate ? Mediocre journalism. The news is about Chinese loan to Pakistan and there is no information about the interest the Chinese will charge Pakistan on this loan. What makes you feel they will convert into grant. Not without compromising soveranity. No free lunches here. Use the loan prudently and repay in time and thank your friend for support. When getting a loan is a big achievement..
What Pakistan needs is US$ , With RMB you need to convert it in to US$ with lot of expense since all payments including china should be done in terms of US$ and not RMB. Pmln government department and infrastructure loan. Pti taking money loan. More reserves means more borrowing & more mark up expense. Why 2.20 Billion USD , 2.00 Billions USD by any chance going back to China ? For repayment or import obligation ?? There has been multiple instances of loan in recent past, but what people likely to know is how govt is going to repay later. Chinese are pure business people they will never give anything for free. It has tons of strings attached, but I guess IK is running out of options. $6 billion by KSA and UAE are deposits and can't be used to repay loans. So the net position with SBP is $4.67 billion. @Nishant, True, but how else the government should repay. Default is not an option. May be asked to re-schedule, but this could take long time. Third option is to recover money stolen from people of Pakistan. That also take long time. Another option would be Saudi model - take in all the looters and force them pay back looted money, but then IK is an honest man and Pakistan has a working democracy and samblence of rule of law. Hence in the short term borrowing would seem to be only option going. By now must have been returned /paid back as loan interest. There are no free lunches. Money in return for what services. One might ponder. Good news for Pakistan and this will help pakistan economy. The infamous Chinese Money Trap ! Around in next couple of months this amount will go back to China to pay back earlier loan. It is OK to take loans when there is no other immediate option. I don't see any effort being put in by GoP to increase tax base. You have to do this asap in order to avoid this kind of 'loan mongering'. In the absence of such an effort, all loans GoP is taking look ill-conceived. @Chinpaksaddique, Converted to a grant ? You do know grants are not paid back, that’s what a grant is, it’s not free money, wake up, Chinese will charge you interest, and expect to bring more made in China products to Pakistan, which by the way, will keep Pakistani products from selling because Chinese products are cheap in price, cheap in quality. Are you ok with that ? @Chinpaksaddique, If you know how International credit system works, you wont be writing this comment. China's is charging above 6-10% interest rate on Loans issued to pakistan. Keep in mind Pakistan has to pay back this loan in a year or two. China dnt care about friendship they care about business. And thats how foreign policy works. How can a loan add to reserve, loan has to be repaid with interest one day or other. Be happy only if you earn that much money on your own and then add to your reserve. Now see what happens to the price of GOLD! This money must NEVER be used and kept as an insurance so to speak. Chinese are masters at giving loans sending nations into debt trap. Sri Lankan port «grab» is one such example and I am afraid Pakistan is going in the same direction. Why are the repayment Interest rates not mentioned? India secured a loan of 4 billion dollars from Japan for the bullet train project at 0.1% interest. Does n't matter how you slice it, country has been running on borrowed money for the last 40-50 years. China has 3000 billion dollars in reserves. Why didnt they give dollars abd why their local currency?? @srinivas, we will let you know! @Zak, how do you know! I met a person who worked in the Pakistan Embassy in China, and they said that whenever the Chinese Government helps fund a project in Pakistan, the Chinese Government always gives the absolute lowest interest rate to Pakistan. I thought Chinese loans are called investment. More and more debt... To what end? What are the terms and conditions? Can this money be spent on any projects not awarded to Chinese companies? Two billion dollar Chinese loan is much better, than free two billion dollars from America. More and more loans to keep the country running, still not a self reliant Pakistan.Sad! Taking loans is halal in Naya Pakistan. @Zak, First time Zak you wrote some thing sensible. To all the critics here, where were they when reserve was dropping from $16B that Musharraf left to almost nothing? What other choice does IK has since he inherited an empty pot? He has smartly filled it without going with IFM or USA terms. Now the real work starts on how he maintains it at this level and pays the Parked money back. He bought himself two years and that is worth applause for him. Guys, do you realize, this is 'loan'! @Magaman, "I believe all the terms and conditions dictated by Pakistan." Of course how else do you think they will all make money? @Impartial , it’s appears as a loan but it’s actually a grant.